November began with a visit to the Antique Rose Emporium. I attended their 25th annual Fall Festival of Roses to give a talk about both of my Arcadia grandmothers’ influences on my life and garden. I had the pleasure of working at the Antique Rose Emporium when it first opened while I was a graduate student in horticulture at Texas A&M. While speaking at the event I had the privilege of spending the night at Twin Oaks nearby. I was an early member of the Texas Rose Rustlers and I haven’t yet lost my fascination with the history and proven toughness of antique roses. They are the only ones I cultivate in my little garden here in Arcadia. The weather took center stage this month. The first frost turned out to be a hard freeze, followed by numerous other hard freezes. My thermometer has repeatedly been into the low and mid twenties sending all my warm season perennials and produce into a vegetative collapse. Luckily my star student worker Arabella and her hard working husband Brian cut everything back for me and deposited it into my pine forest where the annual spring burn will recycle it into useable nutrients. Now I’m in the process of mulching everything with fresh bailed pine straw from my friend Dan McBride’s farm in Grand Cane, Louisiana. I’m also putting up my two bluebonnet bottle trees which will provide the only color there until my yet to be planted sweet peas and flowering tobacco bloom next spring. Brian and Arabella also cleaned out my barn which had been stuffed with old lumber from Mr. Mirt’s house which I purchased and disassembled to help in restoring mine several years back. They put the useable lumber into the loft and discarded the rest. That mess in there had been bothering me for several years now and I was making such slow headway with it that noticeable progress was hardly discernible. 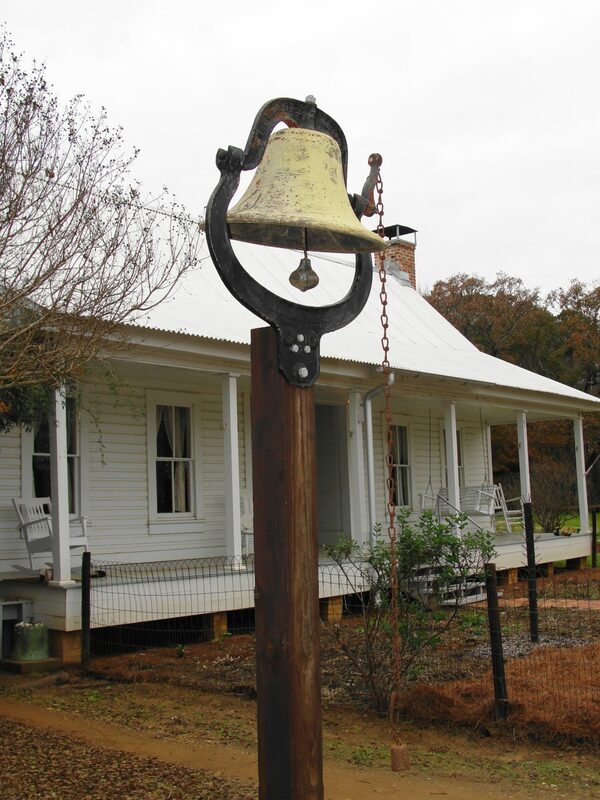 Uncle Noel and my master carpenter buddy Larry Shelton put up the old family dinner bell for me. Uncle Noel gave it to me years ago but I never got around to setting it up. 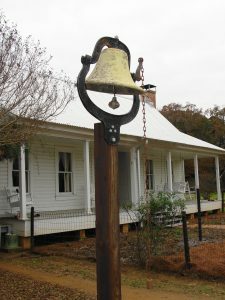 It used to belong to my great grandparent’s Henry and Mae Grant just down the road from my house and was used to call folks in from the fields at dinner time. It’s a cherished family heirloom and I’m thankful Uncle Noel shared it with me. Although I keep a black oil sunflower feeder up all year long for my bird watching pleasure, the approach of winter spurred me to put up my suet feeding station outside my bathroom window. I keep it stocked with four no-melt peanut suet cakes with dried meal worms in them. There’s hardly a minute they aren’t being fed on by Carolina chickadees, tufted titmice, Carolina wrens, pine warblers, or my beloved brown headed nuthatches. It’s a daily treat to bathe in my old clawfoot tub while watching many of my favorite cavity dwellers dine just outside the window. Oddly enough, at work we can’t get a single visitor to a suet feeder. The cakes just sit there and mold. But here in Arcadia I have to put out new suet cakes at least once per month. After experiencing yet another dry summer we were rewarded with a very wet November with around 11 inches of rain for the month. 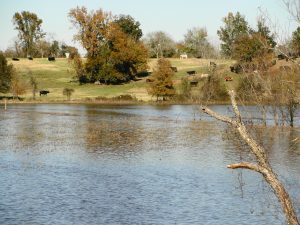 The ponds are all full, the pastures all wet, and the nearby Attoyac River even spilled out of her lazy banks sending the grazing cows to the hills. I’m not complaining a bit as I’ve always said better too much rain than too little. My patch of assorted greens has thrived with a number of folks picking and dining off of them. 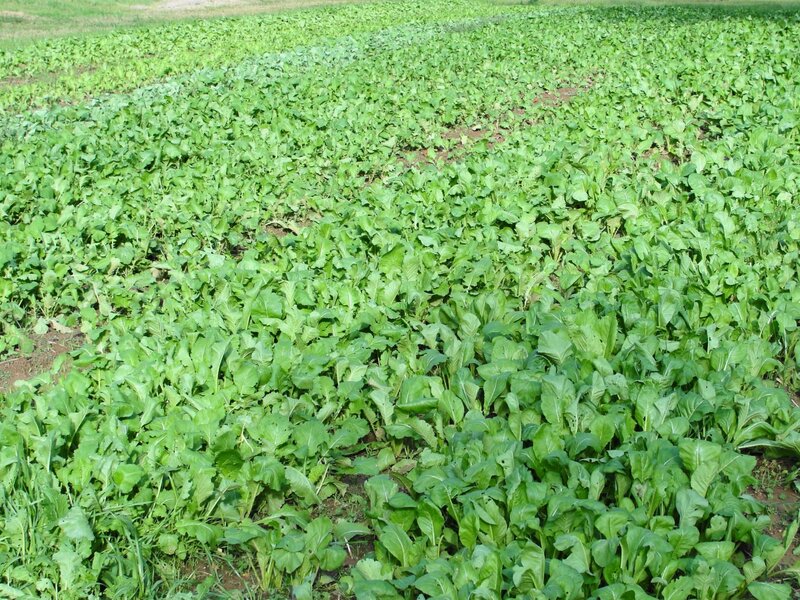 Everybody is continually amazed how much tastier fall greens are compared to spring greens. Cool weather and soil fertility make all the difference. 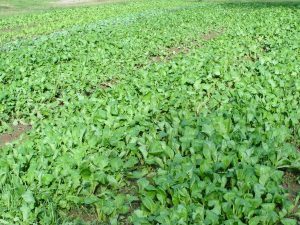 I have two kinds of mustard, rutabagas, three kinds of turnips, and tendergreens in full production. Nothing beats fresh greens and cornbread for a healthy cold weather meal. Speaking of eating, my mom put out the usual spread at Thanksgiving with every member of the family home to enjoy it. We had smoked turkey, baked ham, chicken and dressing (I provided the chicken), purple hull peas (me again), squash casserole, sweet potato casserole, coleslaw, stuffed celery, fruit salad, yeast rolls, sour dough bread, rustic Italian bread, white chocolate macadamia pie, blackberry cobbler, chocolate icebox pie, banana pudding, and cheese cake with praline sauce. As usual, all of it was homemade and nothing from a can. The night before Thanksgiving, my sister-in-law Ann fed us all in Center with three kinds of BBQ, including wild boar that my brother fed out and we smoked in Arcadia all day. Although I was hobbled with an early season cold, the dogs and I took a walk through my hardwood forest the day after Thanksgiving when the sibling herds had all returned home. I used to walk these same woods each Thanksgiving Day in search of materials for decorating my Grandmother Emanis’ little claw foot coffee table. I thought it was a special assignment, not smart enough to realize they were just getting me out of the house while they prepared the meal. I wanted to know how to cook, but Thanksgiving wasn’t the most convenient time for teaching. My mom spends days getting ready but always marvels that her mother prepared it all that day while working a full time nursing job. We still use her chicken and dressing recipe and I’ve been preparing it each year (with close supervision and instruction) so I can take over the job one day. 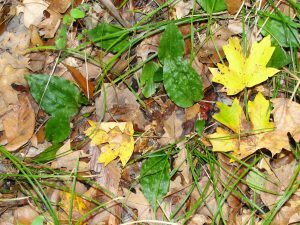 Though many plants in the woods are shutting down for the winter, a number of them spring to life with the cool moisture of fall. The grape seed ferns with their two simple leaves (one sterile and one fertile) dot the forest floor along with the occasional patch of cranefly orchids with their thick pimpled green leaves. If you turn them over, their tender back sides are bright purple. They bloom with delicate cream spikes during the late summer, make ephemeral foliage during the winter, and then go dormant each summer. I noticed a good bit of native beaver activity. 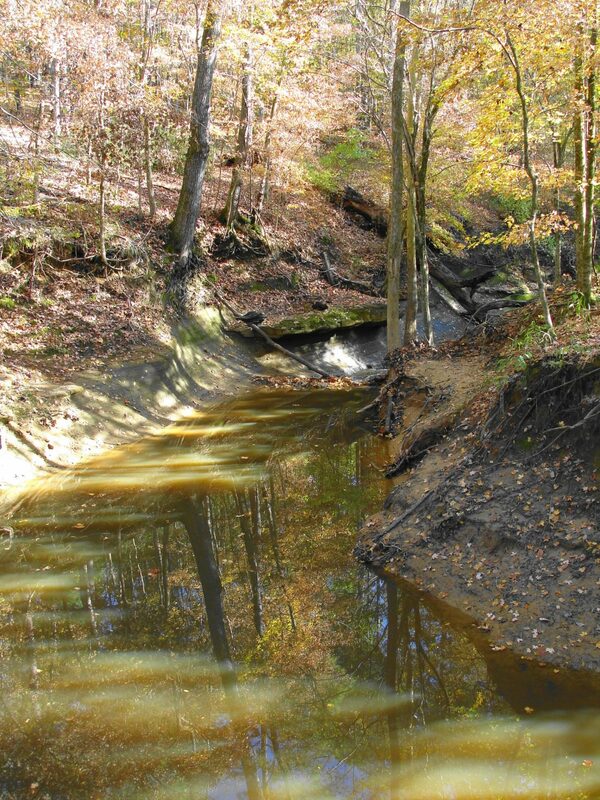 They dammed West Creek in the same spot I once did as a kid using native rocks I collected nearby. Most folks around here hate beaver but I don’t have any problem with them doing their thing in nature. 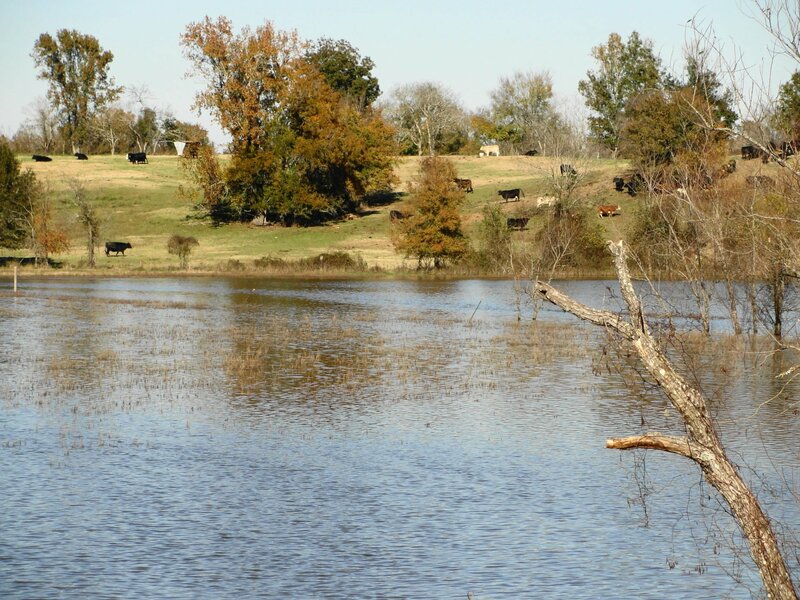 After all they were one of the primary sources of ponds and wetland habitat before humans got here. 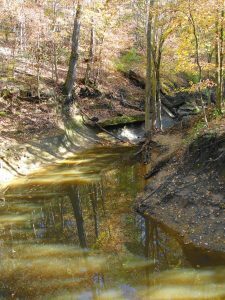 These nice pools of water along West Creek give the beautiful wood ducks places to hang out during the day. I do love hearing the females call. Finally I retrieved my tiny vintage lollypop stand from storage and I’m in the process of decorating it as a miniature Christmas tree in my dining/piano room. It came from Miss Lou Wheeler’s old store in Arcadia and I’m proud it’s still home in Arcadia.